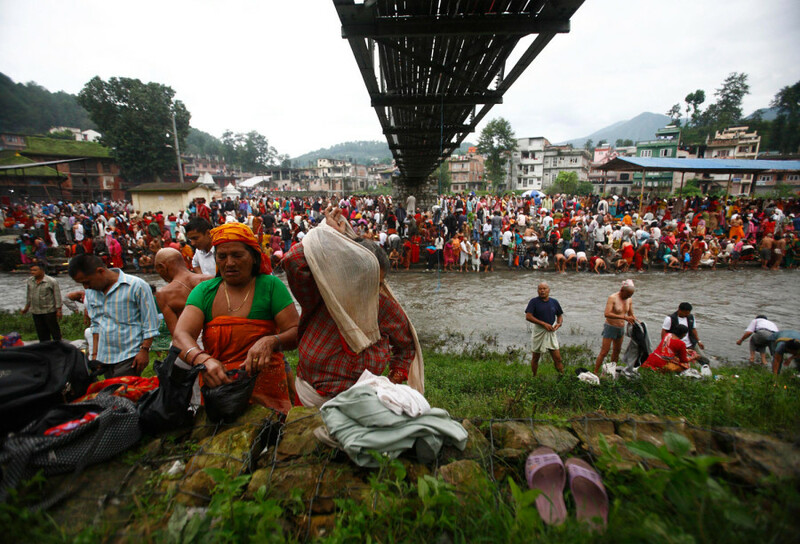 Hindu devotees wash themselves and perform religious rituals on the banks of the Bagmati River while celebrating Kuse Aunse (Father's Day) at Gokarna Temple in Kathmandu on Friday, August 17, 2012. Hindus all over the country, whose fathers have passed away, come to the temple for worship, holy dips, and to present offerings. 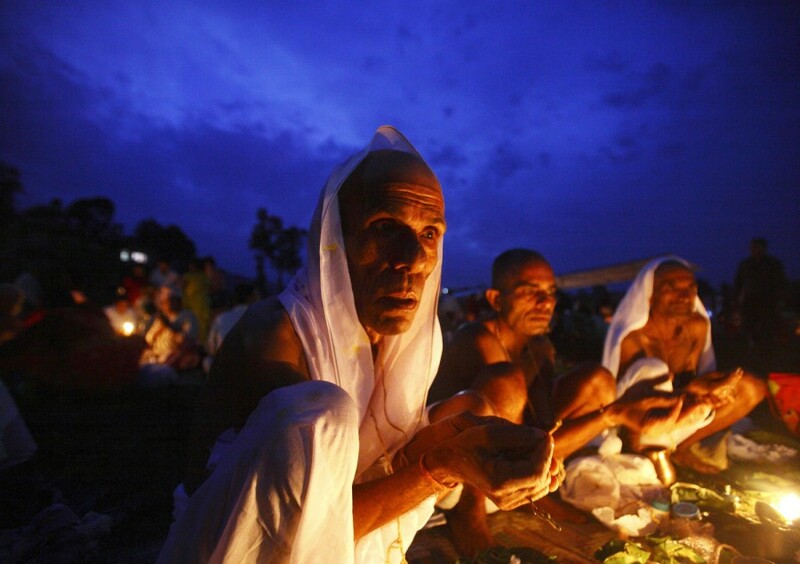 Hindu devotees wash themselves and perform religious rituals on the banks of the Bagmati River on Friday.